Home Home Page » our blog » Home Shopping Mail Order Pay Monthly Catalogue News and Features » Can I appeal a Declined Catalogue Credit application? If you have applied for a pay monthly catalogue and have been rejected you have two choices. You can either accept the decision and move on or you can submit an appeal and try to get the original decision overturned. This page will explain the process. For some people, a Declined message will come as a shock. Sometimes people with generally good credit profiles can be rejected. If the decline come a surprise to you, we do first recommend that you check your credit report, you can do this totally free of charge here. This rules out any mistakes or problems you are not aware of. Even if you know you have some bad credit, this process can still work for you. Why did you get declined? Try and find the email or letter and see why it says you were declined. Often a declined message will be very generic and won't really offer much in the way of explanation, they do this to protect their own credit scoring process. 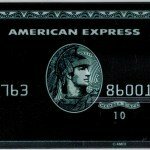 One of the leading free credit reference agencies (Clear Score) which works with Equifax can actually score you negatively if you don't have a Home Shopping account (catalogue account). It could be that some people will attempt to open a Catalogue account for that very reason. Credit Catalogues can help build or rebuild your credit rating if used well. Was I declined due to a mistake? The first thing we need to consider is why the Catalogue company rejected your application. More often than not it is information they receive from a Credit reference agency when you apply. Are you trying to rebuild your Credit? 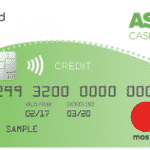 People trying to build up their credit rating may try for a pay monthly catalogue as they can be easier than credit cards to be accepted for. Pay monthly catalogue companies receive lot's of applications for Credit account and it's true, they will and do accept some customers with a poor credit history. Each catalogue company will take on some risk in terms of bad credit, that doesn't mean however everyone who applies is going to be successful. It is worth noting that not all Catalogues are the same. In fact, each catalogue company will have a different Credit Scoring policy, this means you can be rejected by one catalogue and be successful for another. So let's consider making an appeal. Credit Appeals cost nothing and although not guaranteed to work every time, they do have a good record of success. You have already made the application which has cost you a Credit Search on your Credit Report, so attempting to overturn the original decision is probably worth at least attempting. It takes around 30 minutes of your time to appeal a declined application and if you choose to e-mail this will only cost the time it takes to complete a few short details. Interestingly, Catalogue companies don't receive a huge number of appeals. For the most part, Customer who are rejected will often just try another catalogue or forget about the application altogether. Even more interestingly is sometimes, just sometimes the original decision made by a computer was a mistake (due to the credit reference agency timing out) or a mistake on your Credit report. Now there are plenty of ways to appeal, In our own opinion never do this on the telephone. Always consider writing or emailing your appeal, it's better to have a paper trail and it's more likely to arrive with the Credit Underwriters. If you call, you are most likely to be put through to Customer services who will simply tell you to try again in six months time. Declined applications are private anyway aren't they? Put it this way, future lenders you apply to will see 6 years of your Credit history, that includes account management, previous searches and more. The fact they see that you applied for a Catalogue 2 months ago yet a new Mail Order account isn't showing on your Credit report will be a big indicator to them that you was declined. For that very reason I strongly believe an appeal is actually worth it. You are asking a Human to check what the Computer decided to make sure the Computer hasn't made a mistake or missed something important. Now depending on whether or not you know why you may of been declined is going to determine the type of appeal you make. If the declined message was a total shock and you cannot work out why you was declined then you are going to mention this in your appeal. If however you know you have had previous credit problems but want a chance to prove you can manage a credit catalogue then your appeal is going to be different. You are going to need to ensure you can contact the right person first. You have one letter or one email to get your point across. Your Letter / Email has to be short and straight to the point. Make your letter or email personal and include some important notes that can help the Underwriter see what you are saying. We are giving two examples here. You could easily explain why you have bad Credit. It could be from a relationship breakdown, ill health, unemployment for example. A period in your life when things didn't go to plan, but now you are back in control. Your Credit report doesn't offer any explanation to why things went wrong, it just draws a simple picture of missed payments. Everyone is human and everyone has mistakes, appealing to an Underwriter with the reasons you had a period of financial problems and being able to demonstrate the reasons behind the bad credit are going to give you a good chance to be considered. Affordability – Is your income stretched? As part of the Credit Check an affordability check will also be done. If however you are a homemaker for example, they may not be aware of your Partners income, showing them this could swing the decision for you. Employment – Are you employed, did you put down Unemployed? It may be that you are a Carer for example or are unable to work, telling the underwriters that you have an income could be the difference between an approval and a decline. Too many Searches – Maybe you are not aware of this, but having too many applications for credit in a short period of time can make you look desperate for cash, even if all you are trying to do is get an approval. If you are happy to send in proof of an illness (such as a Doctors note) for example this can really go a long way to helping you make your point. The Underwriters have full power to overturn a decision, your job is to use this one letter or email to do that. Every piece of evidence that matches what you are saying is going to go a long way. Photocopies are fine. Before you have submit your appeal letter make sure you include your name, date of birth, address and a contactable telephone number. It's not likely that an underwriter will call but if he or she wants to ask a question they may choose that method to speed up the appeal process. It's quiet common to wait 7 – 10 days for an appeal decision. You should receive confirmation in letter form or email with their decision, as we say, appeals are not guaranteed, however, they can work. What you include in your appeal is going to make the difference. Keep it short and sweet, be nice, appeal to them but don't threaten them or get angry with the original decision, it's not going to help you. It's also a good idea if you can to prove you can afford the repayments, so if you marked unemployed or home maker explain about an income from a partner or child tax credits for example. I recently made an application for a Pay Monthly Catalogue with your company on (Insert date). I was disappointed to discover that my application was unsuccessful. I Understand that the reason for the decline remain confidential and due to the data protection and your credit scoring policies you cannot tell me the exact reason I was declined. However, I realise the decline may of been because (Insert reasons you feel could of influenced their decision). I would like to explain the reason this happened (Insert reason) such as Unemployment, Looking after someone who was Ill etc. I would really like to shop with your Catalogue company, I have taken some time out of my day today to appeal to someone to reconsider my application. Of course, you are free to send any letter/email of your choice, the above just gives an indication to the type of letter you can include. Remember, if you have CCJ's, Defaults or Missed payments, Explaining why these occurred can help them understand the situation more clearly. Keep it human, Explain about a new job, Promotion or Increase in your Annual Salary if you like. Each piece of positive information you supply could swing the decision. Look on the Catalogues website for the address or call the Catalogues customer service department to request the full address or best email address to use. Be patient, don't go calling up the Catalogue within a day to find out if there is an update. Appeals can take a little time. You should include a telephone number on your appeal so that the Catalogue company can discuss any concerns they have. They don't usually call, they will usually write with a response. Remember sometimes an application can be declined for the oddest reasons, So by including a telephone number, You should be able to clear up any concerns they had. Once you have made your appeal you will just need to be patient. Hopefully you get the answer you want and your account will be opened. If the Catalogue company does decide to stand by it's Original decision and doesn't overturn the application then your only option is to use the information they supply to either try elsewhere or wait for a period of time. Remember bad credit can take a while to improve, read our Catalogue guides to find out ways you can help improve your Credit rating when have bad credit. If your decision isn't overturned, you could always try a different Catalogue brand or even a Catalogue with no Credit Checks, Check out the link below for full details. 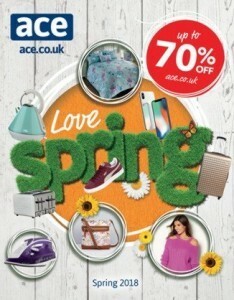 Looking for a Pay monthly catalogue with credit to help you spread the cost of items? We have one of the largest directories of home shopping pay monthly catalogues online.